The Full Health Medical Team receiving the National Healthcare Conference Health Award 2014. Wednesday, April 2nd 2014 was unforgettable. 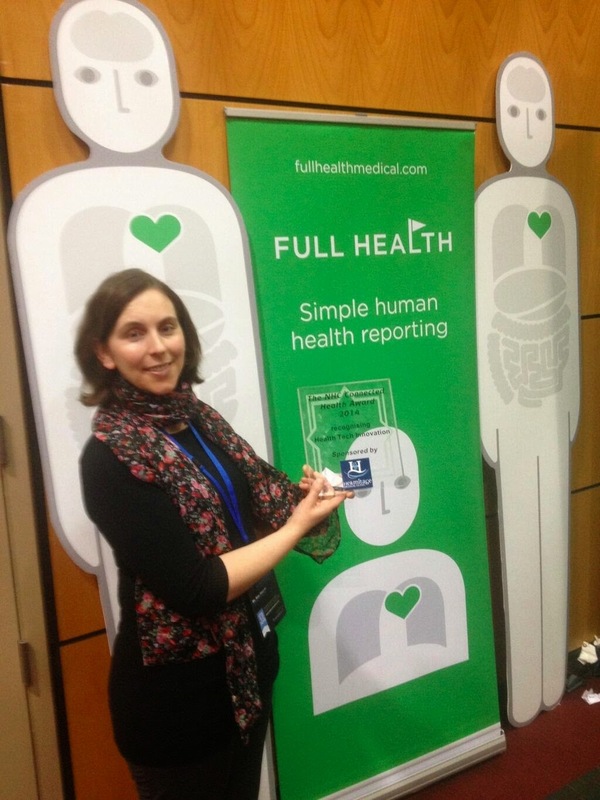 Full Health Medical demonstrated their preventative health platform at the National Healthcare Conference. The response, uptake and feedback were amazing. Full Health Medical are very proud to announce that we successfully raised €500 in aid of Our Lady’s Children’s Hospital, Crumlin. At the National Healthcare Conference, we showcased our online preventative health platform and conference delegates experienced how it facilitates clearer communication. Our medical technology platform was demonstrated by way of a free health-check. Invited delegates could opt to pay for additional blood tests, with all monies collected going to the Children’s Hospital, Crumlin. In just over three hours, 25 delegates came through the streamlined process, with the majority receiving a personalised easy-to-read report sent directly to their smartphones, just hours later. 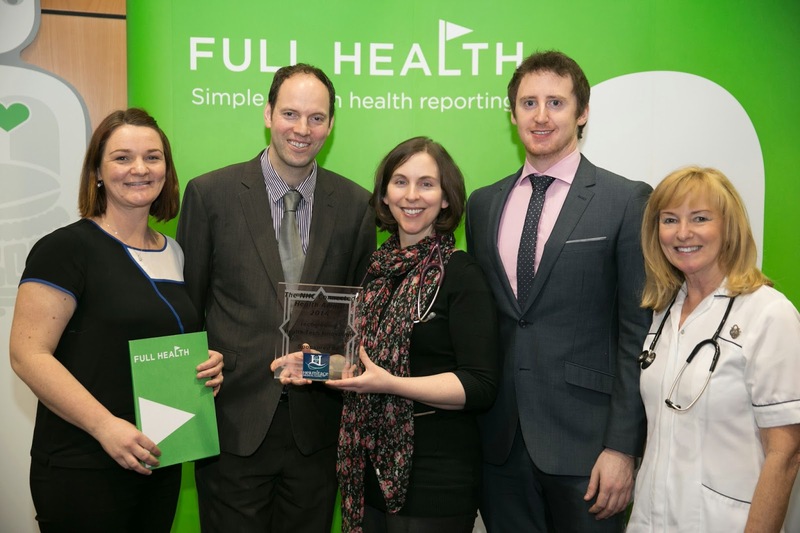 On another positive note, Full Health Medical were announced as joint-winners of ‘The National Healthcare Conference Health Award 2014’, which recognises innovation in health technology. Seven other companies pitched for the award at the conference, which focused on developing innovations to improve patient care. Finally, we’d like to thank Investnet, Biomnis, Hermitage Medical Clinic and all the staff at the Convention Centre Dublin for making this initiative the success that it was. Full Health Medical would also like to extend our sincere gratitude to all participating delegates who donated. Thank you all for helping us do a world of good. Great amount raised for an equally great cause!